There is enough solar capacity in the U.S. to power 12.3 million homes, and many more homeowners are considering a solar panel installation for their home. If you’ve been thinking about switching to solar power, there are some things you should do to prepare for your solar panel installation. The process begins with a solar consultation. Making sure the solar power consultant has the right information will help them make the best recommendation for your home and your family’s energy needs. There are a few things you can do to help the process go smoothly. When considering a solar panel installation, you will need to know how much electricity your home requires on a regular basis. This will help the solar panel consultant determine the right amount of panels for your solar array. You can help the consultant by gathering a year’s worth of electric bills, which should have all the information about your monthly usage. Most utilities give you online access to your electric bill and energy usage, so you can easily get this information ready. This is also a good time to think about what your future energy usage might be. Will you be purchasing an electric car any time soon? Installing a new addition or hot tub? If so, you’ll want to keep that in mind when planning your solar panel installation. During your solar consultation, your solar specialist will determine if your roof gets enough peak sunlight and determine how many solar panels you’ll need to generate enough energy for your home. The consultant will explain the next steps and answer any questions you have about the process. Most homeowners leave their consultation feeling excited and ready to schedule their installation. As you think about your budget for solar panel installation, you’ll need to find out about any solar incentives available from federal, state and local governments. Your solar consultant should be able to help answer these questions for you. At this time, the federal government is offering a 30% tax credit until the end of 2019. Every state and local government’s incentives are different, so be sure to check in your area. Make sure your roof is sound. It’s best to check your roof and take care of any issues before your solar panels are installed. Shortly after you’ve signed your contract with POWERHOME Solar, a structural engineer will evaluate your home’s roof to ensure that it can support solar panels. And if your roof is old, leaks, or has damaged or missing shingles, you’ll want to have them repaired before your solar panel installation. POWERHOME is also a roofing company, so we can address both your roof and solar needs. If you have a homeowners association (HOA), POWERHOME will verify with your HOA to determine whether solar is allowed in your subdivision, and will work with you and your HOA to secure any approvals. And, of course, your local jurisdiction will require that you have a permit, and your utility will need to know as well, especially if you plan to feed excess electricity back into the grid. As your solar contractor, we will handle everything from getting permission from your HOA, to pulling permits, to filing the required documents with the utility, and, of course, making sure the necessary electrical inspection is completed. 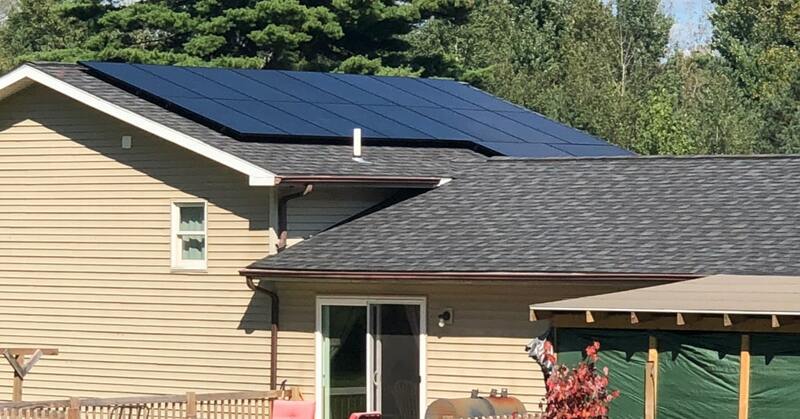 Once your solar panel installation passes the final inspection, the utility company will schedule the installation of your new meter and connect your solar power system to the main power grid. When your installation day rolls around, it’s super exciting. But, it’s a long day of people walking on your roof, drilling and hammering. If you have young children or pets, you’ll need a plan to keep them calm or remove them from the home while the work is going on. You’ll also need to be available, by phone or in person, in case the installers run into any unforeseen challenges. It’s also a good idea to let your neighbors know. At POWERHOME Solar, we’re dedicated to making sure your solar panel installation goes as smoothly as possible. Please fill out the form below or call us at 800-765-2715 to schedule a free energy audit and solar consultation today.